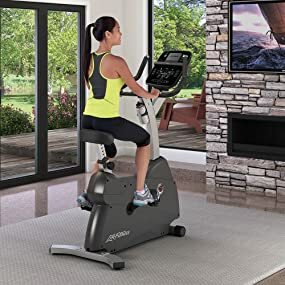 The C1 Upright Lifecycle Exercise Bike is lightweight, compact and easy to move, which makes it an ideal home stationary exercise bike. It features durability and effective biomechanics similar to the Lifecycle bikes found in the best health clubs. and Fitbit® by enabling proximity login on the LFconnect app. Order your Life Fitness C1 Upright Lifecycle Bike with Track Console from FitnessZone.com today!